After seeing the Salmon run in Lake Tahoe, we headed to check out Northstar Ski Resort even though it was sans snow. It was also sans employees, visitors and any open stores. Apparently, the off-season is not the time to go to a ski resort in Northern California. But, it is the time to eat pigs tail. Who would have thought? 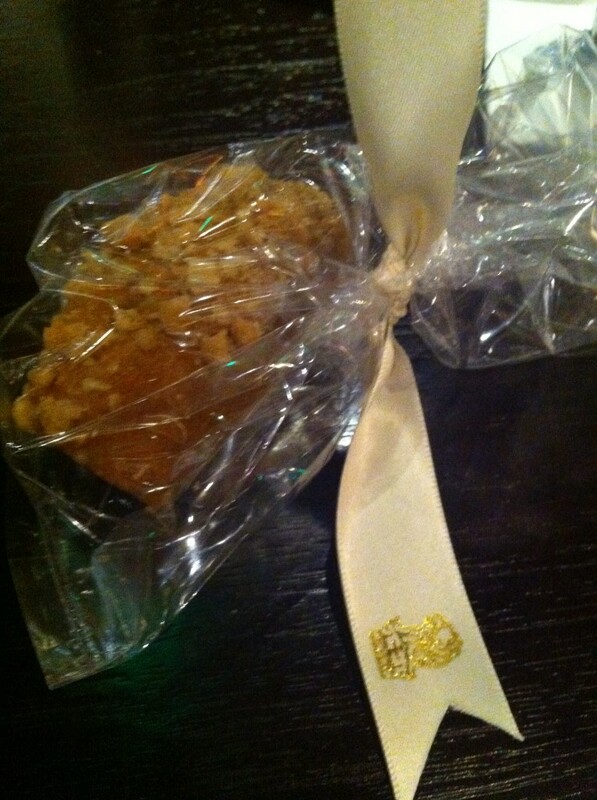 There was one place that was open, the Ritz Carlton. I suppose they are one of the few businesses that can afford to pay employees, even with very limited patrons. They were lucky, I was willing to patronize their establishment all in the name of helping to balance their months Profit & Loss statement. 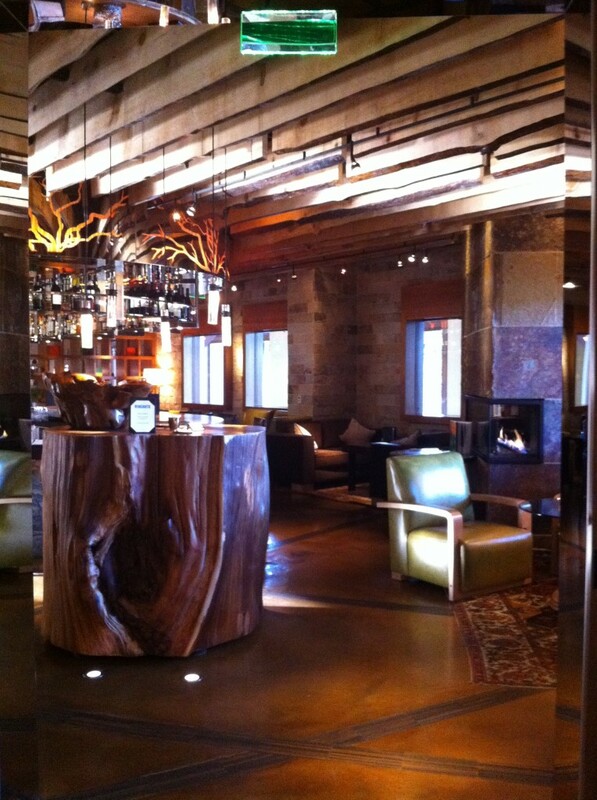 I peeked my head into Manzanita Restaurant to access whether it was a place we wanted to drink & dine. I didn’t even need to get past the front door to decide. Just look at it. 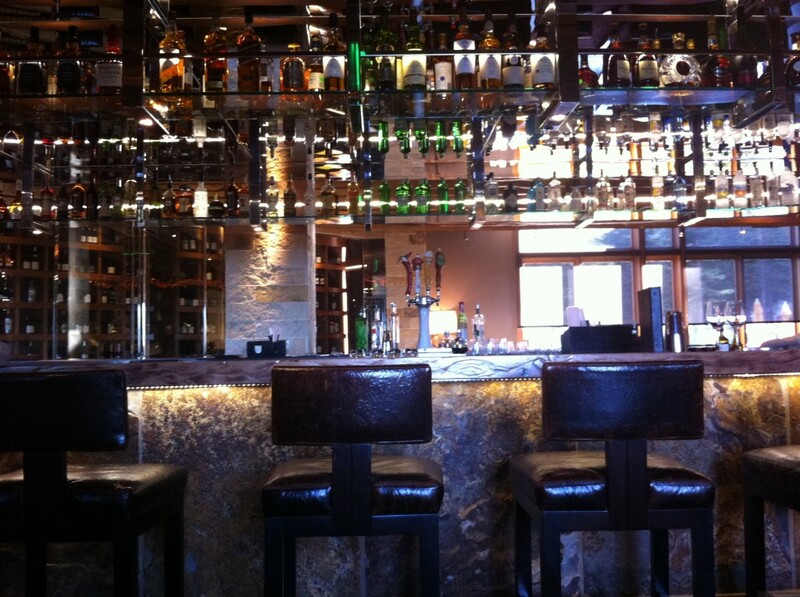 It was still quite early, so we took a seat in the bar to start with drinks. They serve half glasses of wine. Music to my ears. This did not make me happy because I could only drink a half glass of wine, but because I could mix & match. And I began to create my own wine-with-wine pairings. 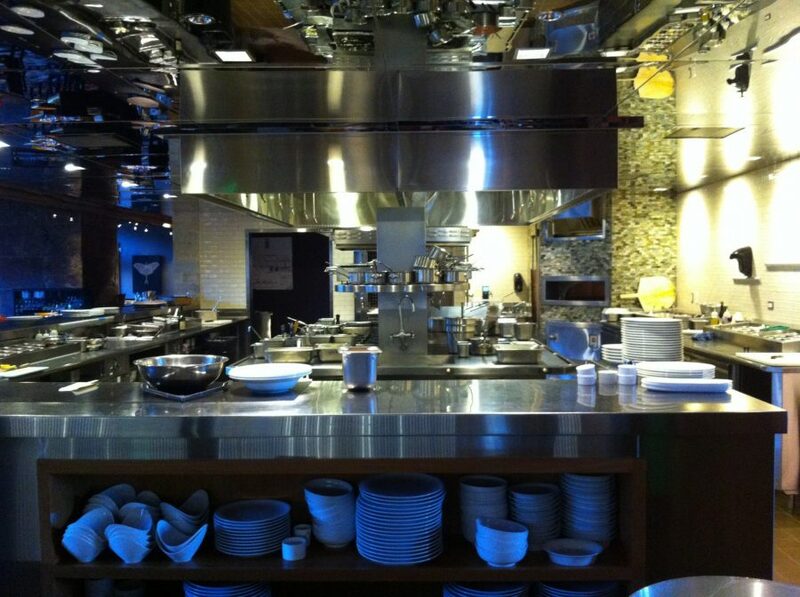 From the looks of the pristine and vacant kitchen they weren’t ready to cook us dinner right now anyway. Two hours later, my stomach was growling and there was nothing I wanted more than to make it stop. Fried Pigs Tail was a Starter on the menu and I looked no further. 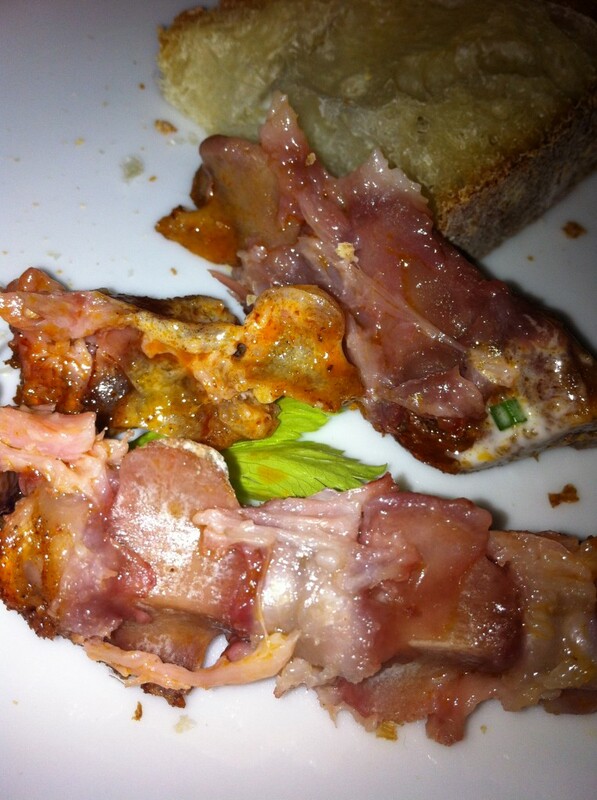 It was a part of the pig I hadn’t eaten yet. 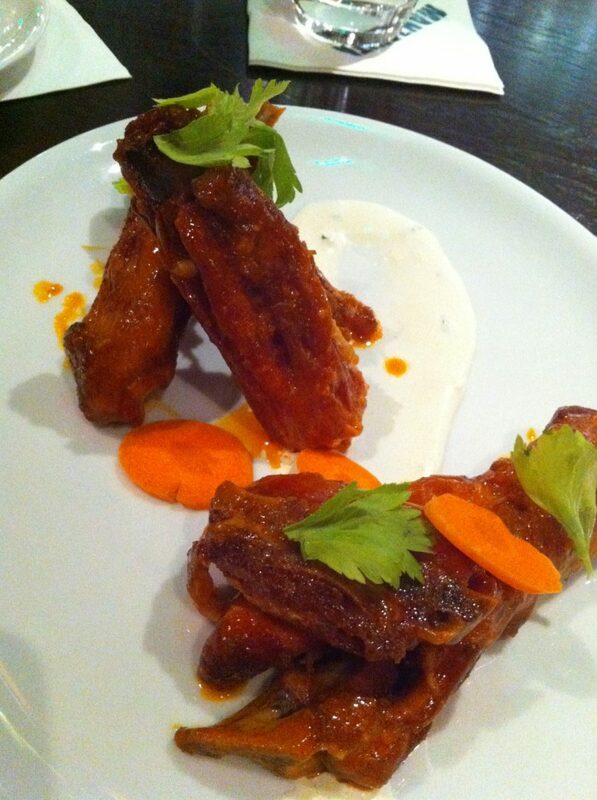 Piggy ears and pork cheeks…Yes. Pigs tails? Very soon. The pigs tails came to the table uncurled. Confusing. But, they were smothered in Buffalo Wing sauce. There was nothing baffling about that. Under the sauce, you could still taste the mild pork flavor of the tender meat. I did a decent job cleaning the bones and Peter thought they were finger licking good. “Nope. What makes you think I would like free, creative, hoity-toity food from a well renowned restaurant?” This is what I did not say. 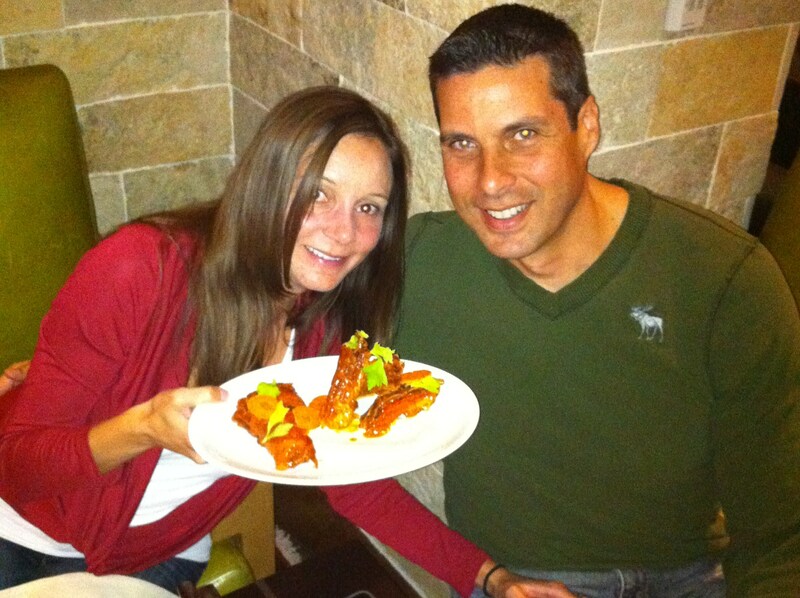 He placed the first dish on our table and explained it as if we were judging Iron Chef. 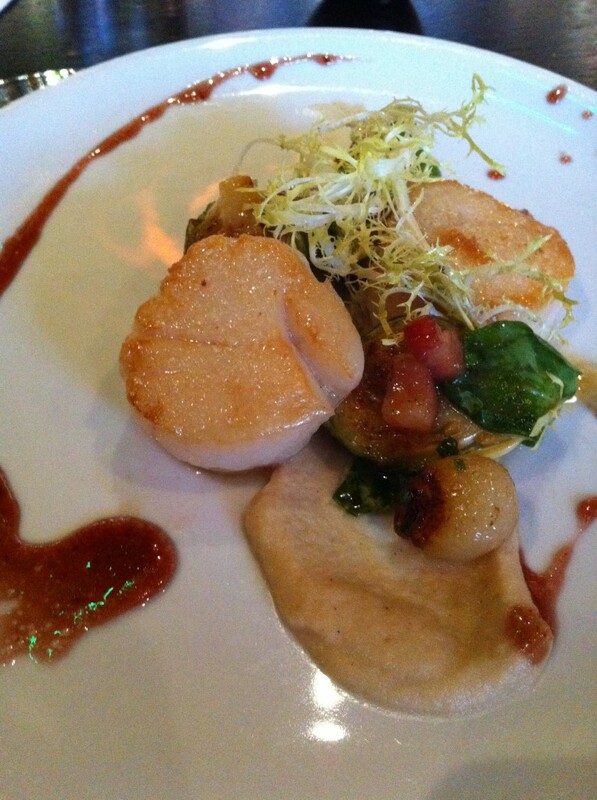 “What we have here is a seared scallop with port reduction, glazed brussel sprouts, pork and frisee.” Both my eyes and taste buds were thrilled. 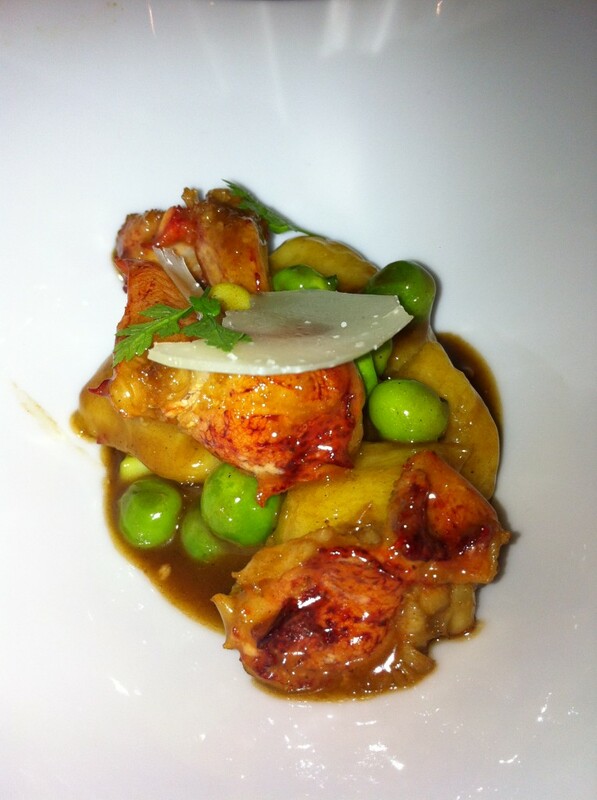 But, not as happy as when the lobster gnocchi with english peas hit the table. The perfect potato pillows of pleasure melted in my mouth. I would order both of those dishes. Even if I had to pay. The finale was a S’mores dessert, just because I hadn’t eaten nearly enough. Don’t think I didn’t dip my finger in that sauce and lick it clean. 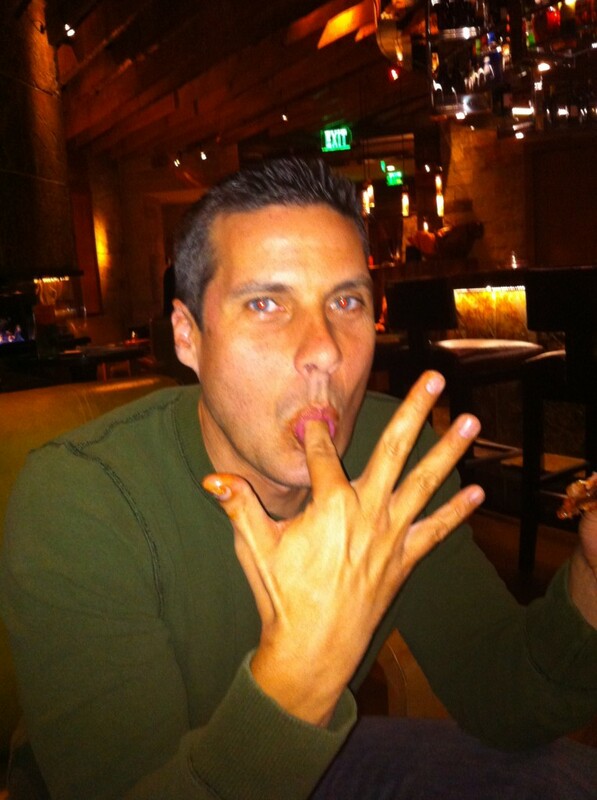 I don’t care if I’m in a classy joint, if there’s a decadent sauce, my finger is in it. Five hours later, no exaggeration, we decided to leave the lap of luxury, pigs tail still on our breath. But, not without one last parting gift, a complimentary piece of pumpkin bread. Perfect breakfast for the morning. Have you ever been comped a meal or eaten pigs tail? 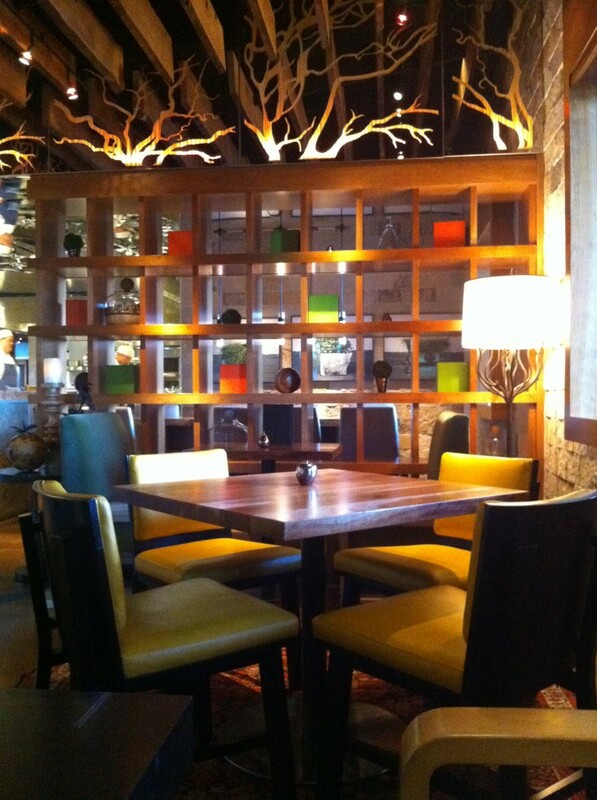 What was your longest dining experience? Wow that's amazing. It just goes to show that there is DEFINITELY value in visiting places during the off season. Was there anyone else in the restaurant when you went or was it just the two of you? But, it was a GREAT experience! Looks like quite the culinary experience! 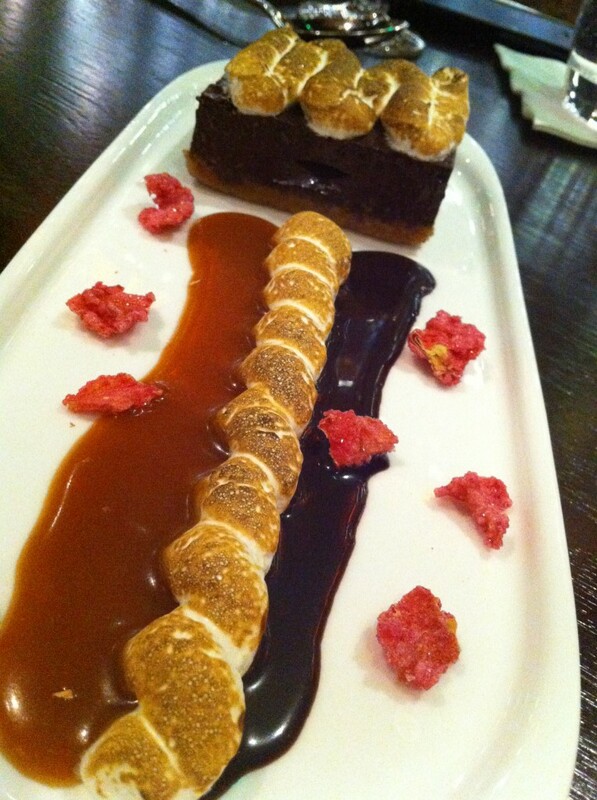 The S'mores dessert – I can only imagine how decadent that was! I even like the traditional s’mores, so I loved this one! Wow – that looks great. I've had a few complimentary meals but my longest (which we paid for) was at an awesome restaurant in Melbourne that no longer exists: it was called Interlude and they specialized in degustation menus up to 18 courses. The food was amazing! Do you think they knew you were "press"? Pigtails and Smores look great!! I’m just really happy it was me!